A Northumberland visitor attraction has become another victim of the recent floods. Severe landslips and heavy flooding have destroyed several of the footpaths at Allen Banks, a popular Victorian Garden near Bardon Mill. For safety reasons the National Trust has had to close the attraction until further notice. It has now begun work on restoring the footpaths and dismantling and re-building the famous "wobbly footbridge" which has also been severely damaged. 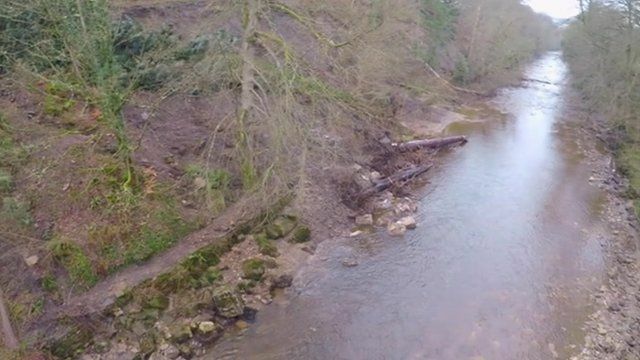 National Trust rangers Chris Johnson and James Howard say the damage has been extensive, but they are still hoping to re-open the site as soon as possible.